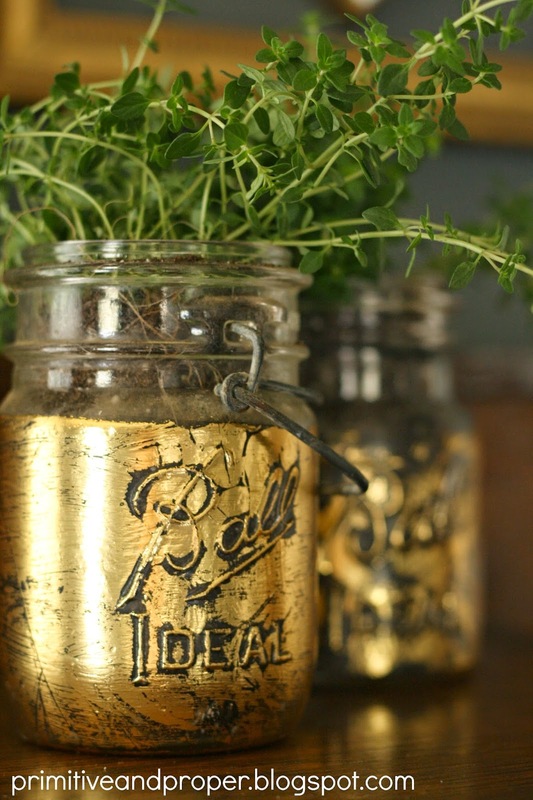 I am in love with gold leaf right now and once you add it to a mason jar.....swooning! These gorgeous gold leaf jar planters are from Primitive and Proper. This is a fabulous way to bring a vintage mason jar into a modern home. Plus it is super easy to make. Click here to get the full instructions for making your own gold leaf jar planters.